In 2015, there were over three million reported non-fatal workplace injuries and illnesses across the public and private industries. Over half these injuries resulted in the injured employee missing at least eight days of work. For those employees, this missed work often meant reduced income and stress about medical bills. While many workers recovered fully and eventually returned to work, the treatment and recovery period created many challenges. 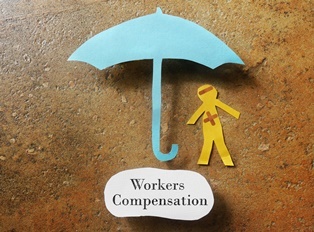 Fortunately, the workers’ compensation system offers benefits that can cover medical bills and provide wage replacement. Temporary total disability is one of the top claims among injured workers. A 2013 study by the National Academy of Social Insurance stated that as many as 72 percent of wage compensation cases involved temporary total disability benefits. What Is Temporary Total Disability in Ohio? Medical expenses related to the work injury are payable regardless of how much work is missed. Associated medical costs can include coverage for hospital stays, surgery, medications, rehabilitation, transportation, and more. 7 or fewer days: No compensation to replace lost income is offered. 8–14 days: Payment will start on the eighth day of missed work, and the injured worker will receive compensation for each day missed. No payment is offered for the first seven missed days. Over 14 days: Payment again starts on the eighth day of missed work and covers each day. If over 14 days are lost, the injured worker will also be compensated for the initial seven missed days. How Much Compensation Is Offered in Temporary Total Benefits? Compensation varies from case to case. The actual amount of compensation is based on a number of factors, and it can change over time. An injured worker will receive a percentage of his wages ranging from 66 percent to 72 percent, with the injured worker receiving more compensation during the time just after the injury. This amount is also subject to state maximums. Sometimes, injured workers can receive living maintenance compensation and social security benefits besides their temporary total compensation. Every case is unique, and an experienced Ohio workers’ compensation attorney can help an injured worker understand his rights and pursue the maximum amount of compensation. When a work injury leaves an employee unable to perform his job duties for a period of time, the employee and his family can receive workers’ compensation benefits. These benefits can ensure an injured worker gets both the care he needs and continue to meet his financial obligations. If you or someone you love has suffered a work injury in Columbus, Upper Arlington, or anywhere else in Ohio, you may be eligible for these benefits, and the experienced legal team at the Monast Law Office may help. Take a moment to fill out our online contact form, and you will receive a prompt response from a member of our team to schedule a free, no-obligation consultation.